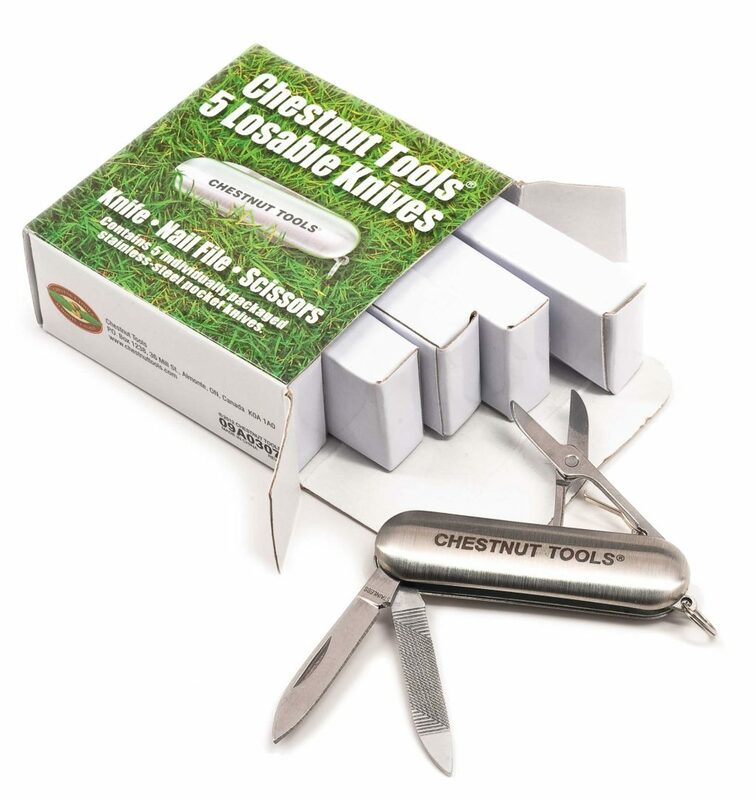 Chestnut Tools has partnered with Lee Valley to offer what they call losable knives. The inexpensive stainless steel knives come in boxes of five and are meant for people who frequently lose their pocketknife. They’re also perfect for carvers who like to reshape their knives. These knives are not intended to be razor sharp out of the box—they will take some time to sharpen. But they are inexpensive, and after you sharpen it, the stainless steel holds an edge well. I like the slim profile, and I can see reshaping the scissors or nail file into a detail knife or even a shallow gouge. And since you get five in each box, if you make a mistake shaping one blade, you have a few backups! The knives are available from Lee Valley, 800-871-8158, www.LeeValley.com. They come in boxes of five for $12.